Adult Classes Get strong! Get fit! Have fun! You're never too old to learn something new! 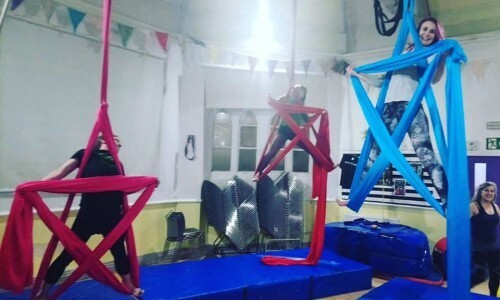 Join us in our beginner classes for an introduction to circus skills! 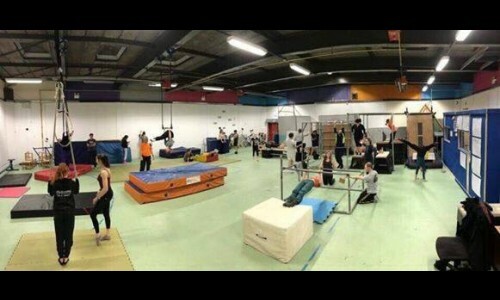 Come and train your circus skills and progress smoothly and safely under the keen eye of our mentors!! 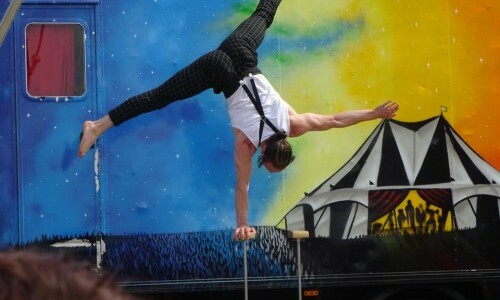 Immerse yourself in circus skills for our intensive short courses and see how quickly you can grow!! Dedicated and focused, private sessions that cater to your needs, targets and skill-level. £5 drop in - just turn up! This is a volunteer run session and gathering for all circussy types. Bring your own toys or share ours. Beginners welcome - simply introduce yourself to one of the leaders. Please note that this is an independent training session - no official instruction will be given. Continues through half term and bank holidays but check the Club Circus Central Facebook group for up to date details on the day. 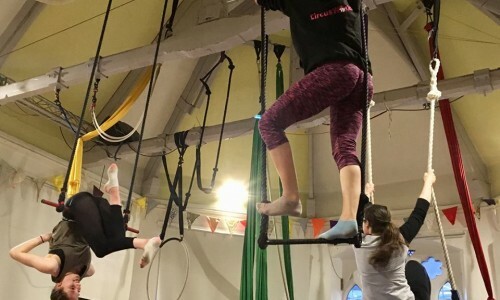 A circus fitness class which is working through the whole body with a focus on fitness for aerial disciplines. Age: 16+ With Ross DROP IN ₤6, student-discout: ₤4 This class runs throughout term time, please check dates on the timbetable. Everything you need to develop your handstand skills: From exercises to build the strength and technique of a solid handstand shape to learning how to balance and a lot more. 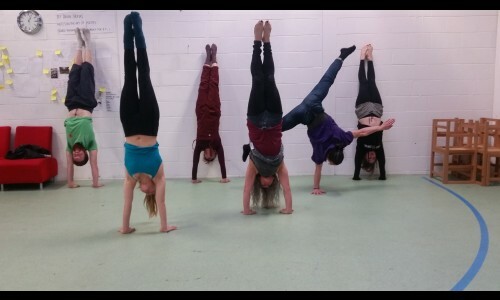 A brilliant class if you are looking to explore handstands for the first time or wanting to progress your skills further! For those aged 16+ ₤7 Drop-in Fridays at Christ Church 7-8pm This class runs throughout term time, please check timetable for dates. 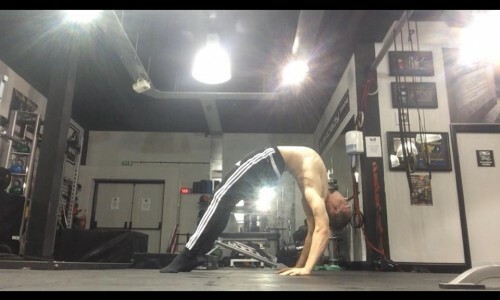 Everything you need to develop your handstand skills: From exercises to build the strength and technique of a solid handstand shape to learning how to balance and a lot more. A brilliant class if you are looking to explore handstands for the first time or wanting to progress your skills further! 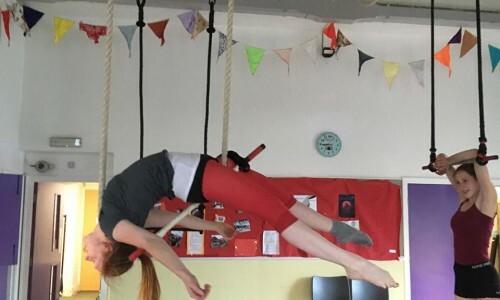 For those aged 16+ ₤7 Drop-in Saturdays at Mill Lane 12-1pm This class runs throughout term time, please check timetable for dates. Focusing on Box Splits, Front Splits, Forward Folding and Back Bending, this class takes you through a range of approaches and exercises to help build toward end goals like splits and bridges and improve your flexibility as a whole! Fridays, 8-9pm ₤6 Drop-in. For those aged 16+ This class runs throughout term time, please check timetable for dates.